Find the powerful gems. Stop the hateful Dragon Club. Save the frickin' world. An incredibly interconnected adventure story that bounces inelegantly between silly and serious. 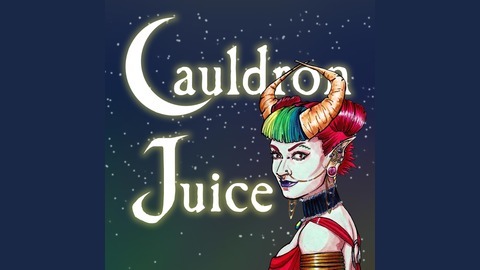 Five heroes, Aziza, Kosef, Tam, Xander, and Anthel, stumble their way into a conglomerated plot so perplexing that they completely ruin Dungeon Master Grant's plans (which is exactly as it should be). New episodes every week (or close to!). Run on D&D 5E and pure imagination. Tam decides where to go now that he's left the party. While getting more information from Heckabah, they experience an earthquake. Then, Tam has an odd vision. 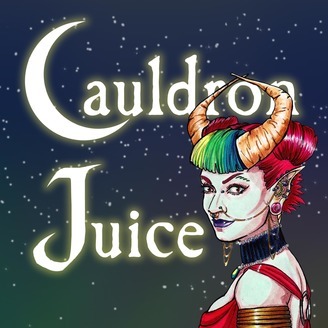 Support Cauldron Juice on Patreon!